If you are a life member, or can provide any information on the life members listed here, please forward that information to warnersbaybulldogs@gmail.com for inclusion on these pages. Description: 84 years of age and still working as hard as ever. Description: Held innaugural vote count day at his home in Bayview St , Warners Bay in 1984 thru to 1991. Description: Reserve Grade premiership Co Coach 1989. 180 (1983-89), (91-94), (2001-03). 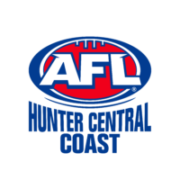 Premierships – 84, 88, 91. Senior – 1987-1989, 1993-94, 1999-2000. Premiers – 88, 93. Under 17 – 1995-1996. Premiers 96. Peter “Pedro’ Flanagan, grew up in the Melbourne suburb of Clifton Hill, right in the Collingwood heartland. His junior football was played in school competition, where Peter represented both schools he attended, St. Thomas CBC and Marcellin College. Moving to live in Sydney as a 13 year old, Peter played for Gladesville/Hunters Hill in the under 15 Sydney competition, where he was runner up in both the league and club B & F. He also made the state squad for that season. Returning to Melbourne, Peter then played for Northcote (VFA) under 17’s and also made several appearances in the tough under 19 grade. The next 2 years found Pedro at neighbouring Northcote Park (Panton Hill/Diamond Valley leagues) where he played his first senior football. He changed clubs in 1975 to play with his mates at Thornbury in the Amateur League. This is where he learnt; playing as a full-back, centre half-back, the rugged, tough footy that was necessary for the times. Moving to Newcastle in 1980, Peter had 2 unhappy seasons with West Demons, where he was continually off-side with the hierarchy. 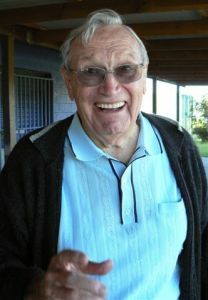 After discussions with Peter “Boofhead” Dunne, Pedro made the decision to come Warners Bay, where he was immediately involved in a controversial swap with the runaway Warners Bay coach. Peter played a large part in the Warners Bay revival for the remainder of the season, coming from sixth to unfortunately lose the Grand Final. He managed to win the most determined trophy for season 83. Feeling very much at home, Peter played in arguably the best Bulldog side ever, the undefeated 84 side, where he played as an under-size centre half-forward, kicking 65 goals. Apart for losing premierships the next couple of seasons went well until Peter was controversially omitted from the 86 GF side. The next few season saw Pedro as fit as he ever was and playing some of the best football ever. In the 1988 grand final he found himself centre stage after an incident with rival coach Steve Bird. The ensuing brawl created headlines and is still talked about today. Peter retired at the end of the 89 season and umpired in 1990. Returning to Warners Bay in 91 for fitness and to stop his growing waist line, he expected only to play reserve grade but forced his way into the powerful senior side, playing a part in the grand final success. Peter made a few appearances in the reserves over the next couple of seasons until a back injury forced him to retire again. He made a few cameo appearances for Matty Moore’s ressie’s and his last kick in footy was a snap-shot goal at age 45. A fitting way to finish. Peter first foray into coaching came in 1985 when approached to coach the under 17’s. 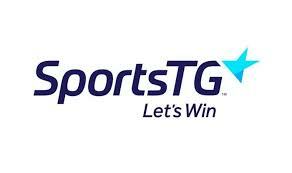 With a bunch of skinny kids, he led them to the grand final where they had a draw with the powerful composite Gosford side from the defunct Central Coast competition. 8 goals down at half-time the boys were given little hope but after an ear bursting, inspirational tirade from Pedro, fought their way back and if not for some terrible umpiring decisions would have won. The next season apart from one blemish the 17’s were unchallenged to win the premiership comfortably. These sides had several future Bulldog champions, including Scott Morgan, Craig Harrison, Steve Blinco, Damien Mahoney and Dave Wattus. Asked to take on the senior position in 1987, Peter managed to take the side to the semis with the highlight of the year being, defeating the mighty RAAF team of 87 in the bog at Bulldog Stadium. Peter was in control when 1988 became the most successful in the clubs history, 1st and 2nd grade premiers, and club champions. Disillusioned Pedro quit football after the infamous 89 Wallsend grand final loss. Approached to take the job again in 1993, due to lack of interest, He took on the difficult job of getting 4 flags in a row. With this achieved it was even more satisfying to beat West for the 1st time in a grand final. With the loss of many senior players the 94 side punched above their weight to get knocked out in the preliminary final. Outside forces took Peter away from football until 1999 when asked to come down and speak with Paul Buzai about the possibility of coaching the under 16’s. Peter went home as the senior coach. With an extremely inexperienced side Peter managed to lead them to the finals in 99. Lack of success in 2000 saw Peter decided to move aside. He returned in 2007 to coach the Bulldog under 12’s. A lack of workers saw Peter take on the demanding Senior Vice-President role in 2001. His first tasks were finding a new coach and then help make a smooth transition from the NAFL to the Black diamond competition. One of Peter’s greatest honours came when he was elected club president for 2002-03 seasons during which, under the guidance of Mark Wells, they were able to complete the new lights at the stadium. If you ask Peter about his years at the Bulldogs, he will give you a one word answer, FUN. Description: Club premiership captain / coach in 1992. Description: Resrve Grade coach 1998. Description: Multiple Reserve Grade premiership player. ‘Barney’ joined the club in 1984 as a 14 year-old and was part of the ‘left footers’ brigade that joined the club from a reputable Catholic secondary college in the area. This group included such legendary Bulldogs names as Craig, Mark & Andrew Harrison, David & John Finn, David & Michael Wattus, Jeff Watt, John Deverell, Bob & Graham Burge, Tony Burke, Luke Rankin, Jim Doyle, Matty & Marty Cerniauskas & Graham Young. All of whom played in premierships with the Dogs throughout the late eighties and early nineties. ‘The Hippie’ can lay claim to be the only long-haired musician, left-footer, half-back flanker to win the best & fairest at the club. Missed 1995 season due to a knee reconstruction, but was able to turn his hand (unsuccessfully) to coaching the Magoos and assisting Russell Macey & Russell Williams as assistant first grade coach. Strove for rock stardom in 1993-94 with local band FacePlant, and while on-field performances suffered, off-field ‘The Hippy’s’ efforts were exemplary. Ran second to Sharpey & Nobby in the inaugural Swearing Competition held immediately after the 1995 Vote Count at the aforementioned’s share house. A protest was submitted by the Hippy camp on grounds the word ‘discrimpsy’ was not in the dictionary, but this was quickly dismissed by then judges Paul Garwood and Russell Macey, throwing the competition into turmoil and eventually signalling it’s suspension indefinitely. 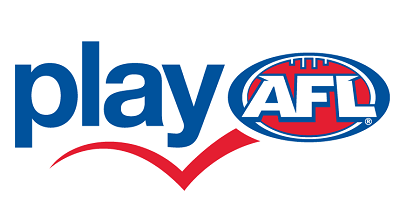 Damien left the Bulldogs in 1998 to pursue a career in the media, as Editor of afl.com.au. He is also a regular AFL commentator for the ABC and National Indigenous Radio Service. Survived a scare in 2006 after accidentally dropping ‘the magic’ on air, saved only by the fact nobody complained (or perhaps nobody was listening). Description: Senior B & F winner 1997. Description: Club captain for 2 seasons. Steve joined the club in 1996 and managed to convince the coach he was suited to a Full Forward role. 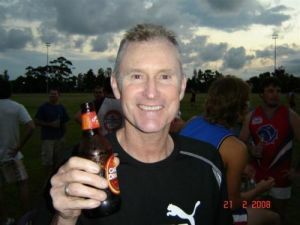 Due largely to a dominant Warners Bay midfield lead by Dave Metcalfe, “Maysie” managed to score over 100 goals in his first season for the club. 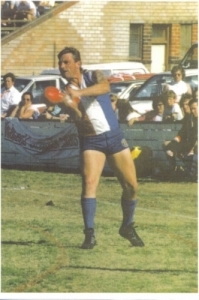 He has since gone on to play another 10 seasons for the Bulldogs and represented the NAFL on numerous occassions. Steve has also been the Treasurer for the club and was the Club President from 2003 to 2006. At 41, his best football playing years are definitely behind him however in 2007 he lined up for the odd Reserve Grade game and enjoyed it so much he ended up being an integral part of that team’s 2008 Finals campaign, flogging a few 20 y.o. opponents to help guide the team to a 2008 Premiership over Cardiff. Description: Played a little reserve grade and actually played in 1988 Reserve Grade premiership aged 42. Pat Macey was the mother of Russell Macey, another Bulldog Life Member. She was a tremendously hard worker around the football club from 1977 through to 1988. Her roles included canteen co-ordinator, member of the ladies committee, social manager and organising numerous fundraising events. She was made a life member in 1986 after ten years of committed service to the club. Pat was obviously well known and revered by the senior footballers of the time, as much for her commitment to the club as her willingness to cook and look after them upon their return from big nights out on the town! Description: Also has served on the committee. Description: Represented NSW in 1997. Description: Vice-President of Seniors 2000. Description: Club Secretary 1989 through until 1996. Description: Senior B & F winner 1988. Description: Multiple senior premiership player. Description: Played in the 1995 and 1996 Senior Grand Final teams. 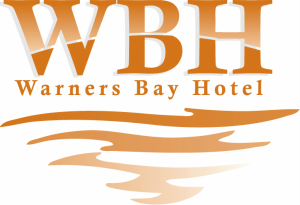 Warners Bay Australian Football Club would like to thank the following sponsors for their support and all club members are asked to support these businesses in return.